Today I did a burlesque fotoshoot. I look forward to show some of the photos another time. 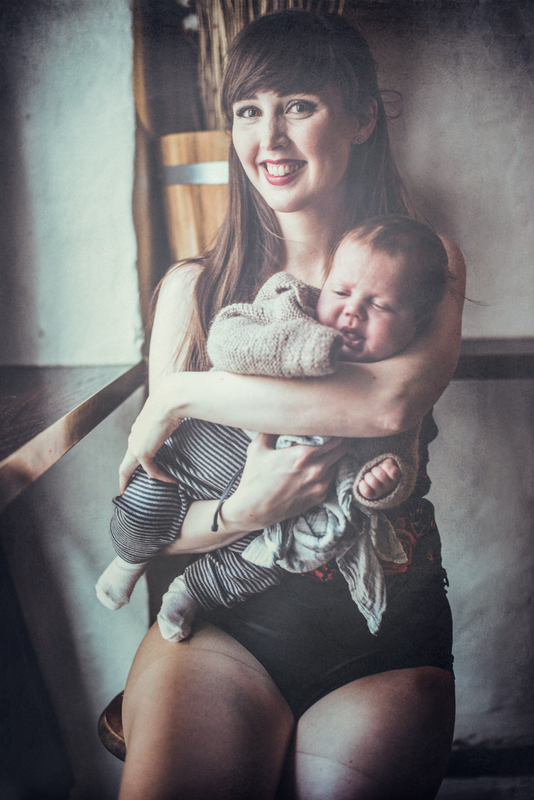 One of the burlesque models brought her little baby boy. He is only 2 month old. I just had to portray them. Have a great saturday evening.